Bonsoir! If you’re after watching French Netflix in the UK then this is the guide for you. In it I’m going to show you the incredibly easy way to do just that. France, ah what a country. 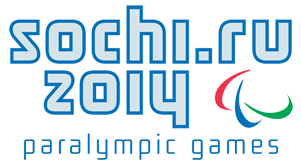 With great culture, cuisine and sights galore. One thing the French do well is movies. If you’re a French speaker than you’ll definitely miss French TV in the UK and if you’re trying to learn French then what better way than to immerse yourself in some French TV? If you’ve already tried to access Netflix in the UK then you’ll know you’re pushed to the UK site. This has a different catalogue of movies, TV shows and even audio and subtitle selections. By using a small app known as a ‘VPN‘ you can hop over the water and access French Netflix in the UK in seconds. To watch French Netflix in the UK you’ll need to get a VPN app. Basically a VPN is a tiny app for your computer, tablet, phone or other devices that allows you to change your location. They’re sold by hundreds of companies but unfortunately not all work with French Netflix. Most concentrate solely on allowing you to access American Netflix but there is one that has a dedicated French Netflix option. CyberGhost VPN is one of the biggest and most popular VPN service providers in the world AND they have a French Netflix streaming option. So, to watch French Netflix in the UK you’ll need to sign up to CyberGhost VPN. Below I’ll show you how you can do just that and how you can then use the VPN app to watch French Netflix in the UK. Vive la France my friend! Vive la France! Now you know what you need it’s time to put that into action. Don’t forget, this is completely beginner-friendly. So even if you’re a tech-novice you’ll be able to follow the simple steps below that will allow you to watch French Netflix in the UK in just a few minutes. Visit the CyberGhost VPN website and sign up for their service. Download their app for your device and install it. Open the app and login when required. Then under the ‘Netflix’ section select France and connect. Once the app has connected visit the Netflix website or open the Netflix app. Select France to watch French Netflix. Once the app has connected the Netflix website or app or in fact any other websites or apps will think you’re in France. You’ll now be able to access the Netflix France catalogue and any audio or subtitle options that are available on the French Netflix website. Not to worry either, nothing is permanently changed and you’re able to disconnect at a moments notice and everything reverts to normal. Want to watch more French Netflix? simply reconnect! There are no limits on how many times you can connect or disconnect or how often you can use the service. As long as your subscription to CyberGhost VPN is active you’re free to use it as much as you want. How does a VPN even work? You’re probably wondering how a VPN even works. I know I was when I first heard of them way back in 2011. There is actually no magic involved even though they’ll enable you to watch French Netflix in the UK. It’s all done simply by allowing you to route your internet connection via another location. When you’re in the UK and you visit the Netflix website or use their app your connection goes directly from you to the Netflix service. It sees you’re in the UK so it gives you access to the UK Netflix website. 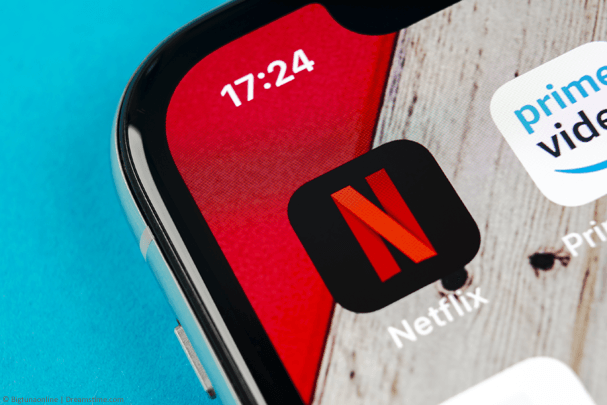 When you use a VPN from CyberGhost VPN your connection is first passed to France, it is then sent on to the Netflix service. Netflix sees that you’re in France and so serve you up the French Netflix website. The VPN app handles everything and you’re free to just use the internet as normal. To watch French Netflix in the UK you’ll need to get yourself a VPN service. For this, I recommend using CyberGhost VPN because they’re one of the only VPN services I could find that is compatible with French Netflix. You’ll need to sign up for their service which you can do by clicking the button below. Once you’ve signed up download their app for your device. 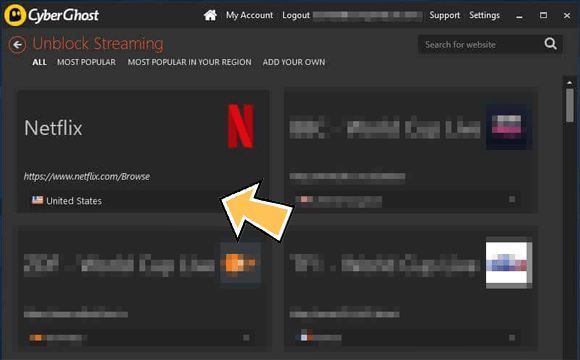 On their device use the ‘Unblock Streaming’ option and select Netflix and then ‘France’ from the drop-down options list. You can now visit the Netflix website or use their app to watch French Netflix in the UK or in fact anywhere else in the world!